Jungle Animals Birthday Party Invitation. 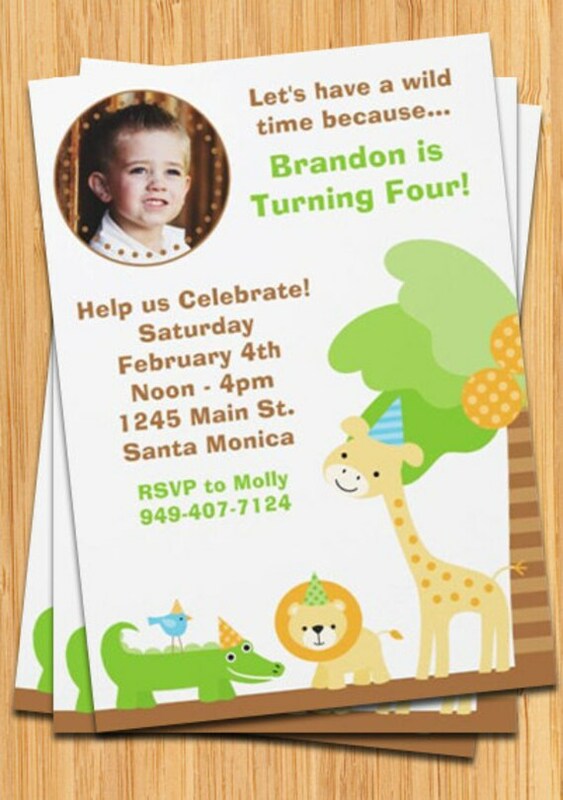 This jungle party invitation is perfect for a birthday party, or anytime your party has a jungle safari theme. Features a cute giraffe, lion, bird and alligator. Photos can be submitted in either .jpg or .png format. They should be a resolution of 299 dpi or higher for the best results when printing. If you have questions about dpi or anything else related to your photos, just ask. We can’t take responsibility for the print quality of low resolution photos. It is illegal for us to use images that are copyrighted without the permission of the photography or company that holds the copyright. By submitting your photos, you agree that you are the photographer or have permission in the form of a copyright license from the copyright holder. You also agree to take full responsibility for any misuse of copyrighted images and agree to not hold us liable for any misuse of copyrighted images.